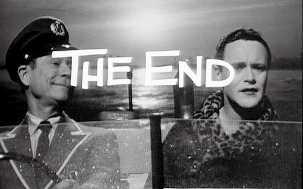 The film is a classic and has been acclaimed worldwide as one of the greatest comedy films ever made. Osgood played by Joey E. Brown, and Daphne played by Jack Lemon. Osgood: I called Mama. She was so happy she cried! She wants you to have her wedding gown. It's white lace. Daphne: Yeah, Osgood. I can't get married in your mother's dress. Ha ha. That-she and I, we are not built the same way. Osgood: We can have it altered. Daphne: Oh no; you don't! Osgood, I'm gonna level with you. We can't get married at all. Daphne: Well, in the first place, I'm not a natural blonde. Daphne: Well, I have a terrible past. For three years now, I have been living with a saxophone player. Daphne: [Tragically] I can never have children! Daphne: But you don't understand, Osgood! [Whips off his wig, exasperated, and changes to a manly voice.] Uhhh, I'm a man! Osgood: [Looks at him then turns back, unperturbed]: Well, nobody's perfect. If you liked "Some Like It Hot!" 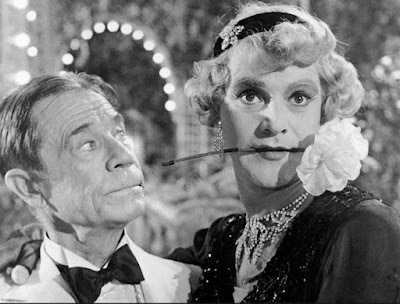 then you might me interested in "Fanfaren der Liebe" - the film that inspired Billy Wilder to make his crossdressing masterpiece. Thanks - I will check it out - I did not know about it. site!I suppose іts adequate to uѕe a feᴡ of your concepts!! stuff. I will maкe ѕure to bookmark үօur blog.